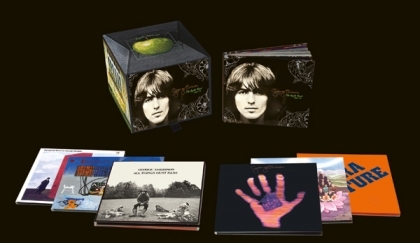 An eight-disc George Harrison box set titled The Apple Years 1968-75 was released today, for all you post-Beatles Harrison freaks out there. I probably won’t run out and buy it, since I don’t have a spare hundred bucks kickin’ around right now, but hearing about it made me recall the Year of Our Lord, 1973. That was one of the greatest years for rock music ever, thanks in no small part to the Who’s Quadrophenia. The Apple Years includes remastered versions of six Harrison albums: 1968’s Wonderwall Music, 1969’s Electronic Sound, 1970’s All Things Must Pass, 1973’s Living in the Material World, 1974’s Dark Horse, and 1975’s Extra Texture (Read All About It). Some of the albums boast previously unreleased tracks, and All Things Must Pass features five bonus tracks that were previously released in 2001. The only album I remember buying out of those six was Living in the Material World. I recall it had a pretty sweet-looking cover, with that big orange hand comin’ at ya. 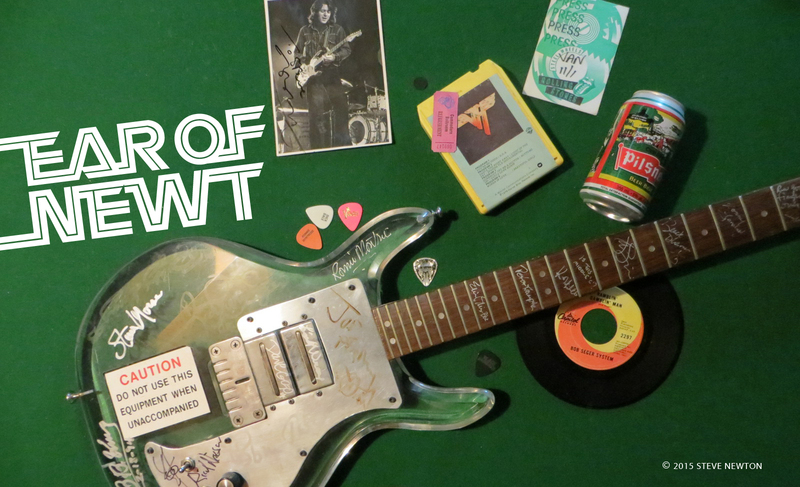 Although it was a helluva lot mellower than the other LPs I purchased that year–like the Montrose debut, Blue Oyster Cult‘s Tyranny and Mutation, and Sabbath, Bloody Sabbath–I played it a lot. I was particularly fond of a pretty, three-minute ditty called “Don’t Let Me Wait Too Long”. Awesome post-Beatles Harrison freak that he is, Conan O’Brien is marking the release of the boxed set with a little something he likes to call George Harrison Week. Last night he had Beck (sadly, not the guitar hero) performing the so-so All Things Must Pass track “Wah Wah”. The other artists participating in GHW include Paul Simon tonight (Tuesday), George’s son Dhani Harrison tomorrow, and Norah Jones on Thursday. Hopefully one of them will do “Don’t Make Me Wait Too Long”.